Carving meat can be a daunting proposition. It takes a lot of work, and it's easy to do badly. That's why spiral hams are so popular. These presliced hams bake easily and don't require much work to fall into neat pieces. Unfortunately, spiral ham can dry out easily as juices evaporate from the cuts. Careful cooking is required to keep these convenient but delicate hams juicy and delicious. Bake ham cut side down to preserve moisture. 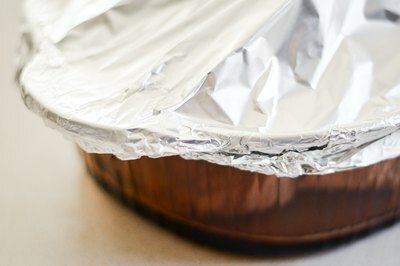 Oven temperatures should be relatively low: about 300 degrees F. Place your ham on a roasting rack inside a pan containing half a cup of water, and cover the top of the ham with foil. The foil should be loose around the ham but crimped tightly to the pan edges to keep steam in. Spiral hams should not be cooked uncovered. Ham baking time varies by the weight of the meat. Most hams should be baked for about 10 minutes per pound. 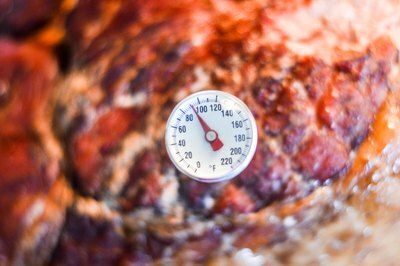 Your ham is done when the center slices are quite warm to the touch, or measure about 90 degrees on a meat thermometer, and the inside of the ham is steaming. The first slice or two may look dry, but others should be moist. Your finished ham may have slightly burnt edges. These are actually caramelized and delicious. Glaze your spiral ham with your favorite glaze recipe, or with the glaze included in the package. Popular glaze recipes include honey mustard, coffee liqueur and cola. 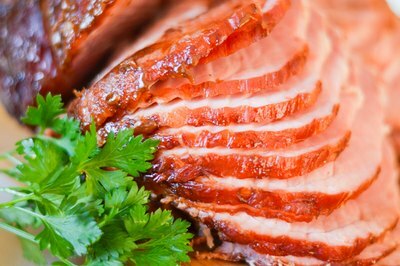 Substitute fruit juice for water when making the glaze for a more flavorful ham. Good ham glazes will have a high sugar content and will caramelize without becoming burnt and bitter. 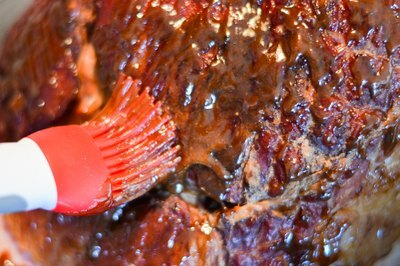 Increase oven temperatures to 425 degrees and brush your whole ham with your preferred glaze. Place the ham back in the oven for about ten minutes without the foil cover. Keep an eye on temperatures and moistness to ensure good results. Ham can also be basted with glaze throughout the baking process. Watch hams closely to prevent them from becoming overly dark. Some hams will come out dry, even when you've tried everything. Mustard sauce is the solution for a dry ham. 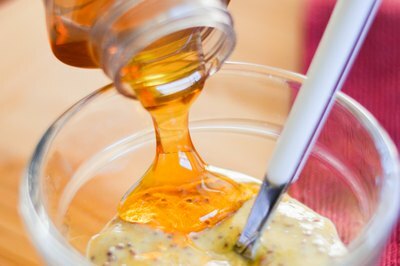 Mix one part honey or maple syrup with two parts strong mustard. Served alongside your ham, this sauce will help distract guests from dryness.